April Fool's day has always been something of a day to love and fear at the same time...especially if your boss decides to give you a warning for tardiness and you respond by laughing and punching him on the arm. But the internet, with its constantly updated wealth of content, is just MADE for April Fool's jokes, and there have been some crackers in the past. Here are some of T3's favourites over the last few years. Amazon Web Services announced the Floating Amazon Cloud Environment, or FACE. The idea? Airships with light servers that would float towards you when needed. They could be accessed over WiMax or, if you have line of sight, "lasers are the way to go". But of course. In an attempt to publicise the newly created iPlayer, the BBC enlisted Terry Jones to 'report' on a discovery of flying penguins. Using some top-notch CG, the film showed a whole host of penguins flying north for the winter to the rainforests before basking in some rays. The YouTube page hosting the clip has some marvellous comments on it, including the very helpful: "Good video effects but penguins are not able to achieve flight". Thanks for that. IWOOT were still having fun designing crazy products back in 2006, when they released the Memory Stick that lets you download your thoughts onto a 2GB flash drive. The idea was you could back up all your thoughts onto your PC to stop you forgetting them in your old age... the only problem was you would probably lose the stick as soon as you'd finished. Or not, seeing as it was fictional, but we're always on the lookout for practical problems. Think Google. Think Virgin. What's next? Well, obviously Virgle, an 'interplanetary Noah's Ark' according to the press release issued by Richard Branson, Larry Page and Sergey Brin. Not only was there a whole web site set up to describe a plan to colonise Mars, but you could even take a questionnaire to find out if you'd qualify for the expedition. Users posted their 30-second video applications in droves, whether looking for the chance to FINALLY make it onto the Red Planet, or just going for 15 milliseconds of fame. Fed up of your iPod or shiny new iPhone getting mucky or worse still, stolen? Well, pop it in this Hide-a-Pod Zune case that makes would be thieves or muddy puddles think twice about meddling with your PMP. It might not be real, but it poked fun at the lack of interest in Microsoft's Zune in 2007. All the way back in 1997, when the internet was a tiny little network of around 10 people (ish), there was a hoax going round that 'net-lovers needed to disconnect from the world wide web for 24 hours. This was because 'during that 24 hour period, five powerful Internet-crawling robots situated around the world will search the Internet and delete any data they find'. This was similar to the old hoax of asking people to cover their phones in plastic in order to prevent dust flying out when the lines were being 'cleaned'. iPod control - via your mind! There's nothing like a spoofed video to make you think: 'Is that real? I know it's April 1st, but... is that real?' Well, the iPhone mind control kit was actually dreamed up right here in T3 Towers, and it seems enough of the Apple fan base were waiting for such a device for it to be taken seriously by one too many of them. But imagine if it were real: winking to change the volume, wiggling your eyebrows to enable shuffle and just thinking of a song to change the track. That could happen, right? An Indian scientist was able to harness the collection of atoms in the walls to find out what words have been spoken. Apparently, according to the source which had to be protected for 'security reasons', the sound waves disturbed these atoms and left an imprint and disturbance that could be measured and the original speech worked out. One of those 'so crazy it might be true' ideas... after all, 200 years ago they thought the radio was the work of the Devil. Browsing underdog Opera sprang face-gestures on the world in 2009. We were told it was possible to navigate the web via a series of elaborate expressions, but it warned that "users visiting sites that contain adult content sometimes make unconscious facial expressions". Genius. You can still check out the Face gesturing browsing video here. Editor of PC Computing John C. Dvorak brought news that drinking while using the net would soon be made illegal. The 1994 feature stated: "Congress thinks that being drunk on a highway is bad no matter what kind of highway it is." It was Bill 040194... or 04/01/94. Geddit?! 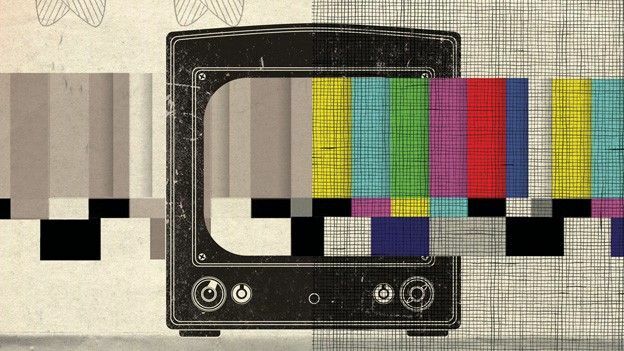 STV, then the only TV channel in Sweden, issued advice by "tech expert" Kjell Stensson on a new way to instantly convert black-and-white TV sets to colour. To take advantage of the "double slit interference" viewers had to stick a nylon stocking over their screen. Thousands of gullible Swedes slipped off their hosiery. Our Ball-Assisted Cerebral Honing Exerciser provided virtual football training. Work experience hero Tommy Melville donned the device - cardboard body sensors and a visor - and ran around the park. Beats making coffee. After 188 years The Guardian announced that it would begin publishing solely on everyone's top microblogging site. Yep, the rag was going Twitter-only, with stories such as: "Berlin Wall falls! Majority view of Twitterers = it's historic! What do you think??? Have your say." Nothing says 21st Century technology like converged devices, and I Want One Of Those captured the imagination of the small-pocketed by 'unveiling' the Mobile Razor Attachment for your phone. "With six cutting-edge blades you're guaranteed a shave so close you'll feel you've been exfoliated" read the spiel, and April Fool's and tech grew that little bit closer. It's not often you see the bigger names wheeling out a sense of humour, but YouTube did just that when it decided to get involved with the Rick Rolling phenomenon. When users landed on the UK homepage, they were greeted with the usual 'featured links', but instead of getting interesting documentaries on balloons popping or people falling down, every single video linked to Rick Astley's 'Never Gonna Give You Up' music video.